Magnets from Decal Impressions are an effective and temporary way to advertise your business. Ranging from vehicle magnets to business card size magnets, we have the perfect solution for you. 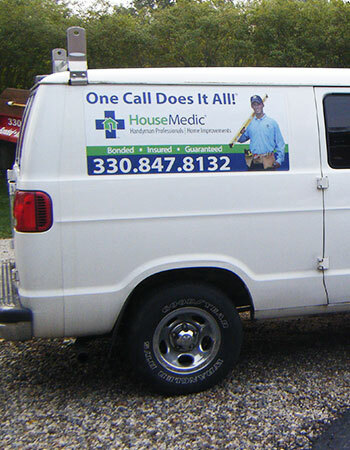 Our vehicle magnets are printed on heavy-duty 30 mil material and are perfect to mount on the side of any type of vehicle and offer long lasting use. They are available in a number of custom sizes depending on your needs. Magnets are a simple, effective and temporary way to spread the word about your business. Apply one to your vehicle or hand them out as a promotional item. We use high-performance magnet material that will adhere to any Ferrous metal surface, even at high speeds. We have limitless capabilities and we can work with you to create custom magnets. If you need a solution that is not quite a full or partial vehicle wrap, these are perfect for any vehicle.